Even if we were Mariana Mazzucato we wouldn't have chosen this example. 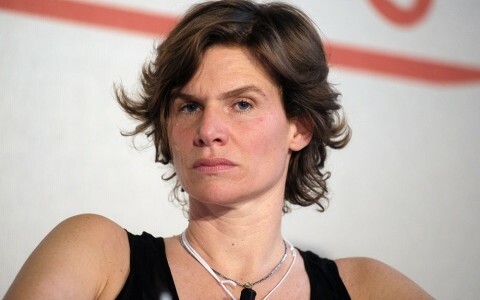 On Tuesday night, the economist of the Entrepreneurial State, Mariana Mazzucato, wondered, in the course of a brilliant inaugural lecture in a Labour-backed series of talks to fire up a conversation about the state and the economy, what food was necessary to turn timorous business folk from gerbils into lions. Her answer is mission-oriented public investment, which sounds very much like rocket science until you realise that actually she is pointing at the way entrepreneurs very often ride off the back of state investment. If we're honest about this that just isn't the sort of example we would have chosen. No, not even if we were Ms. Mazzucato herself. Because if we're going to have a government spraying around 40-45% of everything the country produces in a year then we're really certain that we could find a better example than a pro-renewables policy which has led to the reopening of the appallingly filthy lignite mines and power plants. No, really, we're really quite sure that government can manage one or another thing better than that, even if we're not quite sure what it is. Again, if we're fair, we would in fact use this example to bolster our own case about public investment. It's wasteful, inefficient and in almost all, but not entirely all, cases there's a better way of doing it. Or, of course, just deciding not to do it at all.